On your customer portal, you should place useful information for your customers, such as Frequently asked questions, Knowledge base articles, Forums or Feedback boards on which your customers can get in touch with you. Your customers can even see their tickets and open new ones directly from here. To learn how to configure and customize the customer portal, and much more, follow the Getting started tour located in your agent panel. Login to your agent panel. Or read technical details in Knowledgebase. 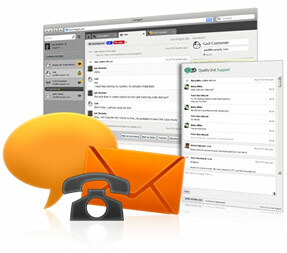 LiveAgent is full featured help desk software and live chat software. Get most out of it by adding as much communication channels (such as email, chat, voice support, Facebook, Twitter), on which you can seamlessly support your customers, as possible. Get the latest news about updates and new features by subscribing to our newsletter or by following us on Twitter or Facebook.